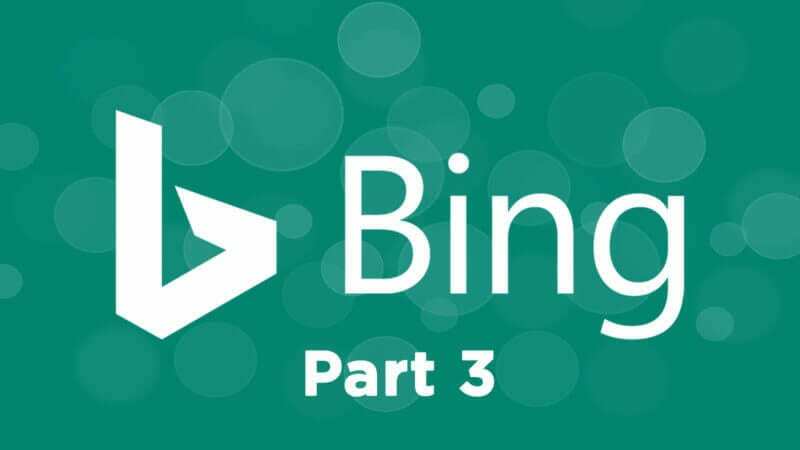 If you are interested in ranking well on Bing, this section will be particularly helpful, since this is where the SEO and keyword tools are housed. The tools here will help you identify and fix website issues to increase your overall search visibility. The SEO Analyzer is here to help you analyze individual pages for search engine optimization (SEO) performance. To get started, just enter any URL into the toolbar and click “analyze.” This is identified with the “2” bubble in the screenshot above. 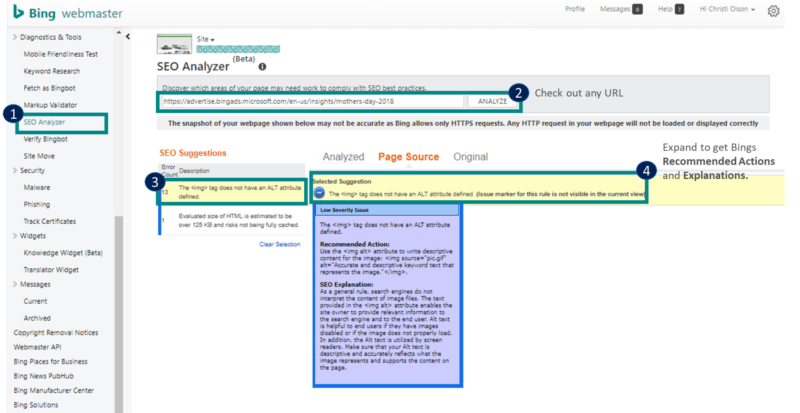 The SEO Analyzer can bypass the robots.txt directive and can scan any active URL on your site. This will allow you to check pages you may not want the Bingbot to actively crawl and index. If the tool encounters redirects, it will follow (to the best of its ability) the redirects and alert you to them in the report. The post The ultimate guide to using Bing Webmaster Tools – Part 3 appeared first on Marketing Land.